The scandal at Volkswagen AG over the diesel which began on September 18th, 2015, when the United States Environmental Protection Agency (EPA) issued a notice of violation of the Clean Air Act to German automaker Volkswagen Group. The agency had found that Volkswagen had intentionally programmed turbocharged direct injection diesel engines to activate some emissions controls only during laboratory emissions testing. The programming caused the vehicles to meet US standards during regulatory testing, However, they were actually emitting up to 40 times more pollution than they proclaimed. Volkswagen included this programming scheme in about eleven million cars worldwide, and 500,000 were in the United States during model years 2009 through 2015. 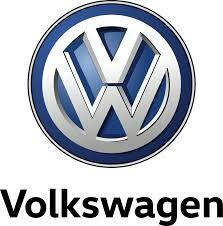 Volkswagen Group sells passenger cars under the Audi, Bentley, Bugatti, Lamborghini, Porsche, SEAT, Škoda and Volkswagen marques; motorcycles under the Ducati brand; and commercial vehicles under the marques MAN, Scania, and Volkswagen Commercial Vehicles. It is divided into two primary divisions, the Automotive Division and the Financial Services Division, and has approximately 340 subsidiary companies. VW also has two major joint-ventures in China (FAW-Volkswagen and SAIC Volkswagen). The company has operations in approximately 150 countries and operates 100 production facilities across 27 countries. Volkswagen Group agreed to plead guilty to a major conspiracy to defraud the U.S. government and obstructing a federal investigation into its violation of emissions standards. The U.S. prosecutors also charged six individual German VW executives for their alleged roles in the scheme. The company agreed to pay a $2.8 billion criminal fine and $1.5 billion in civil penalties for rigging more than half a million vehicles with software to cheat pollution laws and lying to U.S. investigators about the nature of the conspiracy. In January 2017, the FBI arrested Oliver Schmidt, a German who is the former top emissions compliance manager for Volkswagen in the United States while on vacation in Florida on a charge of conspiracy to defraud the United States. Many top German businessmen from the auto industry cannot travel to the USA or through the USA even on a stop-over for fear of being arrested. German prosecutors have also widened a criminal investigation into Volkswagen’s Audi unit after authorities accused the luxury carmaker of installing a system designed to evade emissions rules in cars in Europe, a major shift for an inquiry that has previously concentrated on the United States. Volkswagen Chief Executive Martin Winterkorn resigned back in 2015 over the scandal. The criminal investigation is now looking at the entire German auto industry much closer. This is the serious issue that could undermine the entire German economy if it continues to spread throughout the industry. 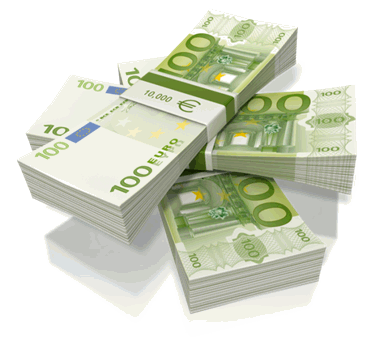 Beware, that the rally in the Euro is clearly a reactionary one and is by no means sustainable long-term. This could be the very issue the expands in 2018, so keep this in the back of your mindset. There are other bombshells yet to fall. While Audi must recall 24,000 vehicles it sold with the pollution software manipulation, there are studies said to exist in the US which the lawyers may unleash claiming that there is a clear correlation between a increase of lung cancer connected to the introduction of diesel trucks, buses, and cars. Even in Britain, the government encouraged people to buy diesel for the environment. It was the German auto industry who asked government to come up with tax cuts on diesel to further support sales. Politicians are turning against the German auto industry in a very major way for their careers always depend on getting the bad guy. If a barrage of lawsuits come flying out over pollution as was the case with asbestos, the future of Europe may appear much darker than many suspect.